Do you work with students who need to practice following oral and written directions? This FREEBIE includes 4 sample activities from the Following Directions Bundle. Get more details on the complete Following Directions Bundle here. 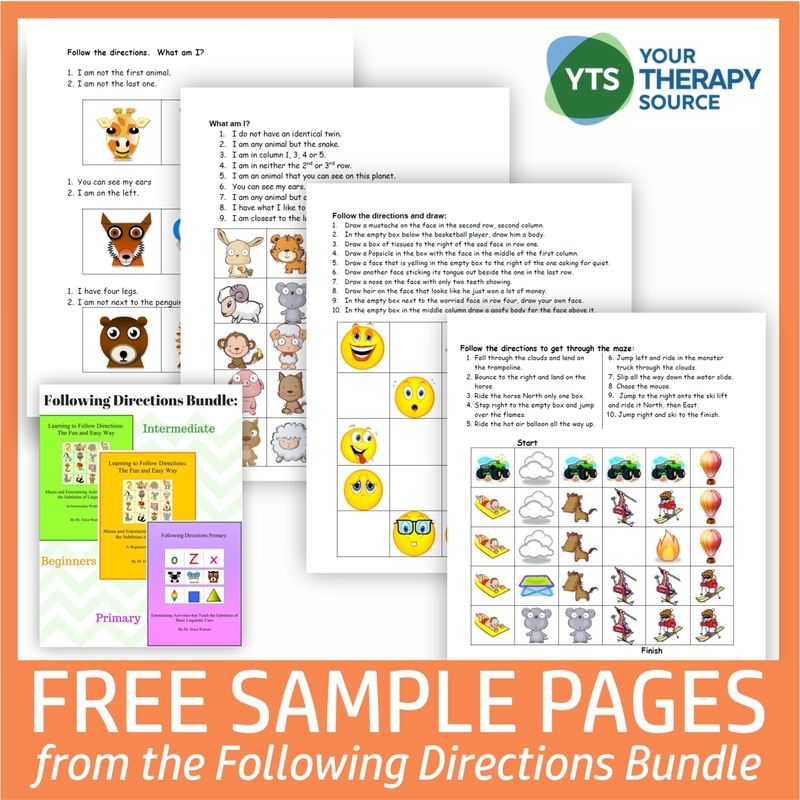 The Following Directions Bundle helps students master the subtleties of linguistic cues and also helps to develop spatial, sequential, memory, attentional and executive functioning skills.